I’ve got some stuff for you folks that I’m kind of excited about. I’m excited because there’s a book I read that I really liked, plus a DVD I recently watched and enjoyed, too, and I get to give away a copy of each. With Christmas just around the corner, they would make great gifts for someone you love or stocking stuffers for you (because does anybody ever step up and stuff Mom’s stocking with anything cool? No.). I really, really liked this book. I want to use it for my next book club pick. Based on a true story, It tells of a family that lives in a dump–an actual dump–in Cambodia and struggles to survive. When Sang Ly realizes that her belligerent landlord can read, she begs to learn. What unfolds is an unlikely and uncommon friendship that uncovers the secrets of a buried past. I loved the tenacity and grace of Sang Ly. The story proves that love and kindness and the power of literature can exist even in the most unlikely places. 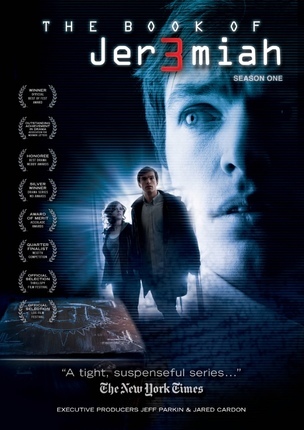 This was developed as a web-series, and it won all kinds of prizes because it really was so well done. Now the whole first season is available on DVD with approximately twenty episodes that are each 5-10 minutes long. It tells the story of a freshman at BYU who experiences tragedy and intrigue and tries to rebuild his identity when everything he’s always known seems to be falling apart. It’s a suspenseful drama, with a lot of action and even some paranormal elements (not vampire-like, just kind of manifestations of spiritual gifts/superpowers I guess). The whole thing is set at BYU and throughout Utah, so it was actually really fun to watch and connect to so many common settings, plus I even recognized a couple of the actors as people I know! The story draws heavily on some LDS themes, and delves into some well-known Mormon myths and legends. Matt and I watched this together and we both enjoyed it. It led to a lot of conversation when it was over and a lot of speculation about season 2. I think it would be a fun gift for LDS adults, young adults, and even teens. So, you want one? I have one copy of each to give away. Just leave a comment below. Tell me if you’re interested in the book, the DVD, or both*. I’ll add your name to the drawing. That’s it. Feel free to say anything else in the comments, too, like how your Thanksgiving was, and if you’re still eating pie for breakfast, or whatever. 🙂 Anyway, drawing will close at 10 p.m. MST on Friday, and I’ll announce/email the winner on Saturday. Good luck! *Will only ship within the U.S.
I’d love to read the book. Thanks for the chance to win! I’ve wanted to read that book for a long time! And I’ve heard a lot about that DVD series as well. As far as how i’m doing, well, I had an emergency tooth extraction today. Yay me! I would love a new book, Steph. Thanks for the recommendation. Also, thought of you this weekend as I recommitted myself to spiritual things. You’re my role model, pretty much. I would love either one. This is an awesome giveaway! Sounds like some fun prizes. Sorry, Andrea! I emailed you. 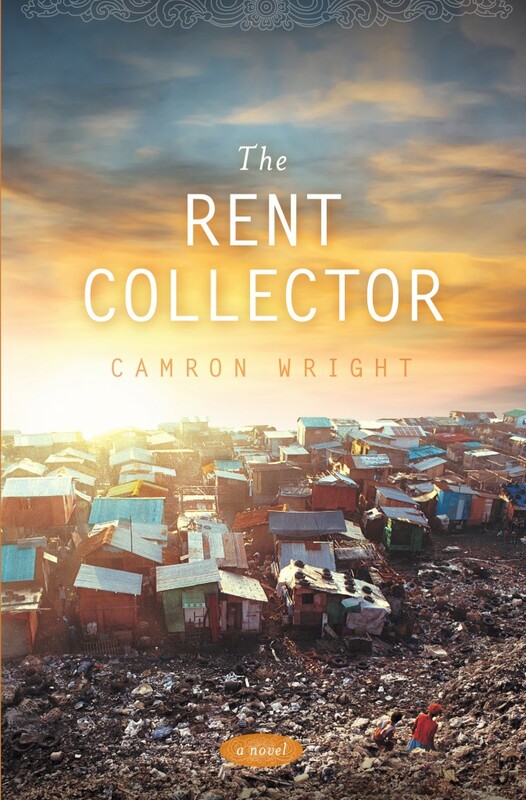 I would love a copy of the Rent collector! My brother served his mission in Cambodia. A humble and interesting culture!!! Enter me in the drawing for either prize please! I had a wonderful Thanksgiving, we went to a restaurant so I didn’t have to cook! It was the first time we’ve ever done that and it was fun. The closest I’ve had to this was when we went to Disney world for Thanksgiving a few years ago, that was great too. The Princess themed dinner in the Norweigan restaurant there was fabulous. I highly recommend Disney for holidays they don’t miss a detail, it is well worth the money! Hope you had a great holiday! You’re right! No one gets cool stuff for the stocking-stuffer’s stocking! I’d love to be entered to win either prize, then it’d have been a surprise what went in my stocking. I have heard of the book and have been toying with the thought of buying it for a while. The DVD sounds interesting as well – definitely something I would love to watch with my teenagers! Our Thanksgiving was wonderful. We had 10 extra people here, but I loved it because we finally had family around! We moved across the country from our families, so it was great to have people come visit us! These both sound very interesting, could probably pull some good things out to share with my young women and my grandkids. I love a fun Christmas giveaway! I would love to be put in the drawing for both. Thanks Steph. that book looks like a great read:) we have no leftovers (so sad!) due to extra unexpected Thanksgiving guests (three cheers for good company!). Eat some pie for breakfast for me! One of my friends told me about the book and I’d love to get it! My kids have told me about J3remiah, so that’d be great, too! Both of those sound very interesting! I’d be interested in the book or the movie! Both sound neat! I’ve wanted to read that book for some time now but never get the chance. The movie sounds good too. I’d be interested in both as well 🙂 How fun 🙂 – Thanksgiving was great, finished off the mashed potatoes last night 🙂 hehehe…. Both of those sound very interesting. I don’t have much time to read or watch stuff, so I only read or watch things that are highly recommended to me by people I trust. Check and check. Wish I lived close enough to be in your book group, that would be fun. Thanksgiving was good as usual, the 7 hour trip to Utah with young (sick) kids, not so much, but it could have been worse –it could have been blizzarding or something. So I’ll just be grateful for our safe trip and the beautiful weather. I’m interested in both the book and DVD! And I’d probably keep them for my own stocking, too! Yes, still eating pie at all times of the day. Isn’t that weird how mom’s stocking isn’t quite as full as everyone else’s…. I think the book sounds really interesting. Thanks for the giveaway. DVD sounds so interesting. I’d love to see it! Thanks for the fun. Please enter me in the drawing to win either. I would love to read the book or watch the DVD. We have a woman in our community who grew up an orphan and lived in a dump in China. Her parents were determined traitors by their government and executed and the children were just left to figure it out on their own. From the time she was five years old, she survived by what she could live on from the dump. Her story really touches my soul. As an adult, she is a HUGE advocate for homeless people here in our area. She feeds them every day and makes sure they have clothing. She even constructed a shower house where they can bathe. I can’t help but believe that the trials of her early life have shaped her focus and mission as an adult. She is an amazing lady who helps many, many people just have basic necessities. I would so love to win this! Please oh please! And I, too, would selfishly keep these for my own stocking. I don’t even feel too bad about it, either, because it would probably be the ONLY thing in my stocking. Besides an orange. I am interested more in the book. But my kids would like the DVD. I was in Nauvoo for Thanksgiving with my cousins. It was great! Either one would be great! Love your blog. I’d love either one of these! Both of these prizes would be welcomed in my stocking! I think I would be interested in both.